Top Rank promoter Bob Arum thinks we could see Manny Pacquiao rethinking the idea of retirement after he gets done with his next fight against Tim Bradley on 4/9. As of now, Pacquiao is talking about going into permanent retirement after the fight, which will be televised on HBO PPV. Arum thinks we could see Pacquiao change his mind about retirement after the fight for some reason. Pacquiao says he wants to retire because he needs to focus his energy on his political career in the Philippines. Pacquiao is running for office in May for a senate seat, and he’s said to be in a great position to get the spot. Being a senator is hard work and a demanding job. If Pacquiao doesn’t come back, then Arum will need to find someone in his Top Rank stable that he can turn into a PPV attraction. There isn’t anybody right now. Maybe unbeaten lightweight Felix Verdejo can one day become the PPV guy to replace Manny in Arum’s stable. Verdejo is only 22 now, and may need another four to six years before he can become a PPV type fighter. The 84-year-old Arum might not be around by the time that Verdejo turns into a gold mine for his Top Rank company unfortunately. If Arum could get Pacquiao to stick around long enough to fight Floyd Mayweather Jr. in a rematch, it would bring in a lot of money for Arum and Top Rank. They could use that money to sign some of the best talent in boxing. 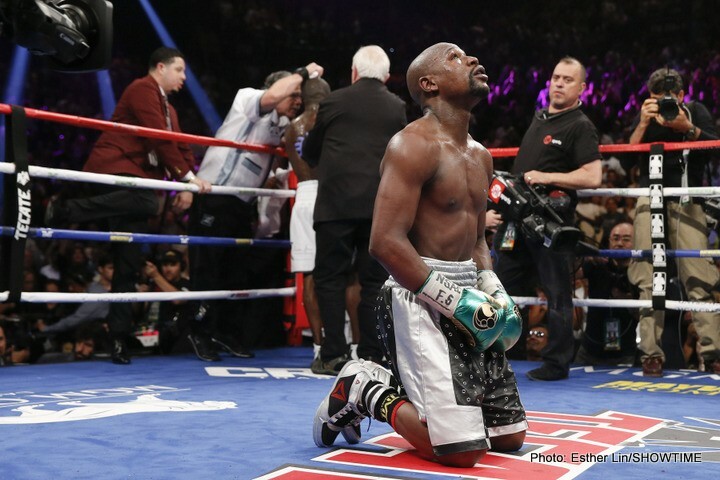 The problem is Mayweather isn’t showing signs of wanting to return to the ring, and Arum and Pacquiao might have burned their bridges with Mayweather after the Pacquiao-Mayweather fight last year in May. Pacquiao lost but insisted that he should have won. He also said he suffered a shoulder injury. To Mayweather, he just it as Pacquiao being a poor sport and not wanting to admit that he lost to the better man. Arum needs to get on the phone and try and talk Mayweather into coming out of retirement to make the second fight with Pacquiao. If Arum can talk Mayweather into taking the fight, then he might do it for the right amount of money.